The Lord of the Rings is one of the most ambitious film projects ever attempted. Peter Jackson’s adaptation of the classic J.R.R. Tolkien high-fantasy epic is a triumph of cinema. They said it could never be filmed, and yet Jackson found a way – using his native New Zealand as the inspiration behind a lot of the filming locations and used in the film. The movies took several years to make, and many millions of dollars, but, upon their release became the most successful trilogy of all time. One of the things that make the movies so incredible is the way Jackson managed to capture the visual awe of many of Tolkien’s locations. And, the way he achieved this was by making use of the diversity and geography of New Zealand. These are some of the most incredible locations in New Zealand where Lord of the Rings was filmed. You will probably recognize Matamata as being the location used for The Shire and Hobbiton. The lay of the landscape perfectly fit with Jackson’s vision for how the Hobbits would live in their little corner of Middle Earth. There is an abundance of dairy farming in the area, which is no doubt what makes it such a perfect spot. 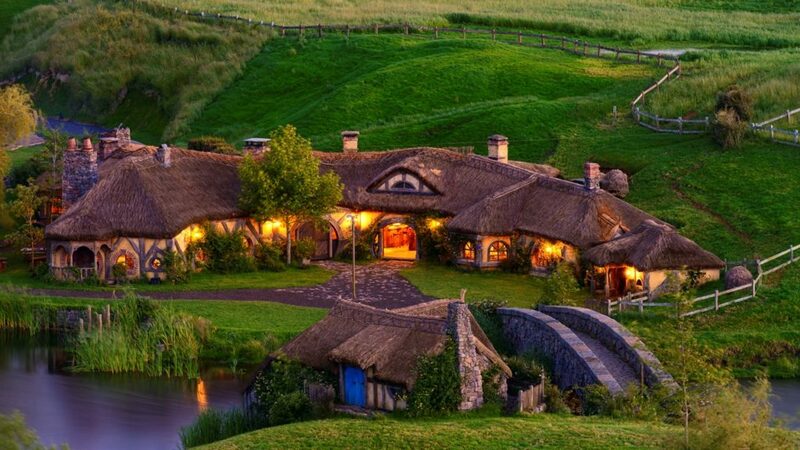 The village of Hobbiton was built here for the trilogy and rebuilt for use in The Hobbit trilogy. As you might imagine it’ now quite the tourist attraction. This stunning location provided the backdrop for the epic Battle of Pelennor Fields, the climax of the trilogy. The grassy fields and surrounding foothills are the perfect settings for the great battle of Middle Earth. It’s crazy how much this place looks like the descriptions from Tolkien’s works. The location is on private land, which is probably what made Jackson choose it as the perfect setting for filming. Wellington is one of the better-known areas of New Zealand and was used as the location for many different areas of the movies. Namely, Rivendell, Gardens of Isengard, and the Paths of the Dead were all shot here. 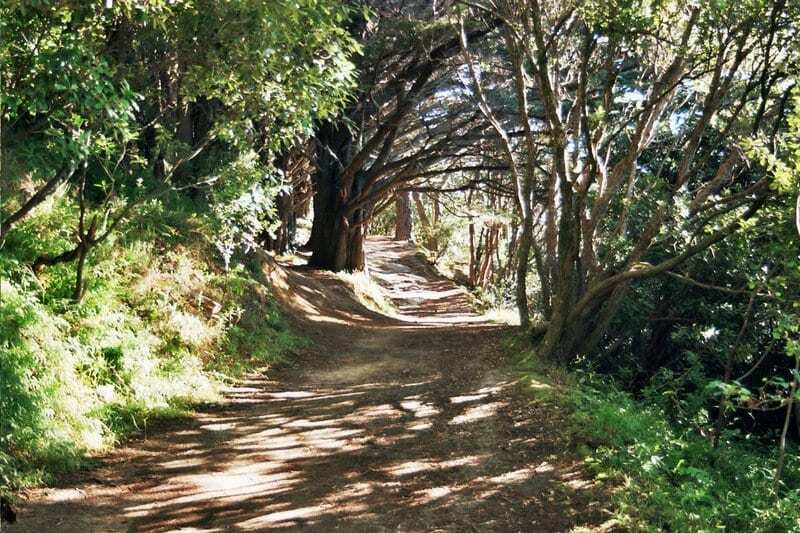 Mount Victoria is a wonderfully accessible location, and the wooded area here was used as Hobbiton Wood. The Hutt River became the River Anduin, and Kaitoke Regional Park starred as Rivendell, home of the elves. The wonderfully named Fiordland could be a name right out of a Tolkien hardback, so it stands to reason it would make the ideal location for Fangorn Forest. The Waiau River runs through here, representing elements of the River Anduin, and Takaro Road was used as part of the filming for Fangorn. This is a breathtaking part of the country and one that was used to great effect in the trilogy. 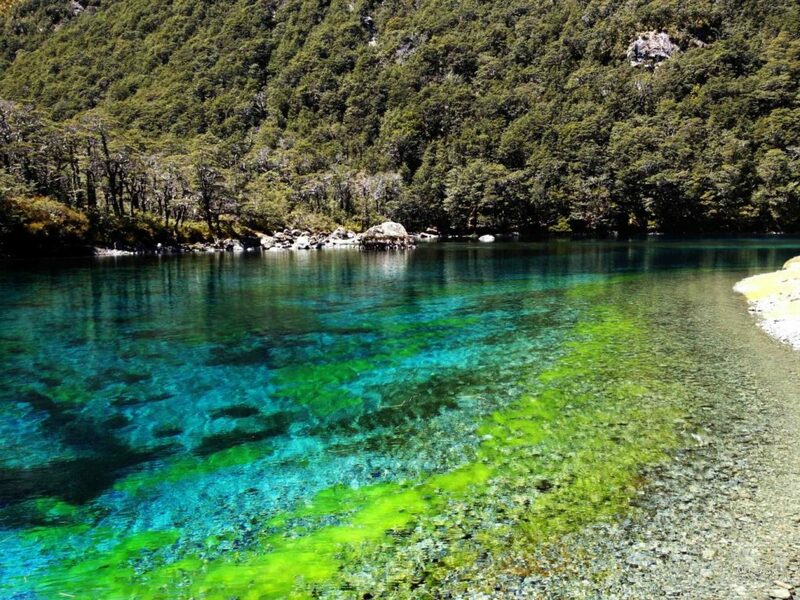 This amazing location on the South Island took on the setting for several locations as well. The location was used when Aragorn leads the hobbits into the wilderness to escape detection. There is also a location where the fellowship of the ring hides from Saruman’s crows, but this can only be accessed by helicopter. But, perhaps the biggest claim to fame for Nelson Tasman is that it’s home to goldsmith Jens Hansen, who created the 40 versions of the One Ring used for the film. As you can see, New Zealand has plenty of amazing surroundings and was the perfect destination to capture the magic and mystery of Middle Earth. There are so many areas of great beauty here, and they absolutely capture the magical fantasy world that Tolkien created.